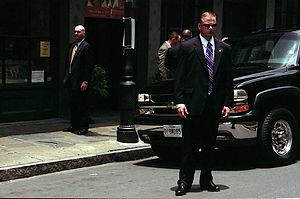 Did Secret Service Agents Get Secretly Serviced? Growing up, a lot of kids (usually boys) think being a Secret Service agent is the best job ever! You get to wear cool shades. You travel all around the world. You hang out with the President of the United States. And if you have to sacrifice your life for your country, others will view it in slow motion, and you’ll be well dressed when your time’s up. But there might be one negative aspect to being a Secret Service agent. You cannot allow yourself to get caught with a prostitute in a foreign country. You can’t even be accused of being caught with a prostitute in a foreign country. A bunch of Secret Service agents preparing for President Obama’s visit to Colombia for the Summit of the Americas had to return home and were put on leave because of such accusations. Maybe the Secret Service agents don’t understand that the prostitutes at these kinds of summits are for the world leaders, not for Secret Service agents. The problem now is that there are going to be a lot of bad jokes for the next few days. Secret Service agents got secretly (or not so secretly) serviced. Their covers got blown. Their careers are screwed. Really immature stuff like that. One of the purposes of this blog is to keep people from getting fired for what they write (yes, Dysfunctional Literacy has a noble function). For example, last week the world learned that if you want to keep your job, you don’t write bad things about your boss (like maybe the President of the United States if you’re a marine) on the internet. Another thing that you don’t do: don’t get caught with prostitutes while you’re on the job (especially if you’re a Secret Service agent). 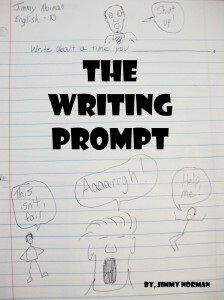 It might not be related to writing, but I try to help everybody. When you’re working for the president, you’re probably not allowed to dally with the prostitutes. Prostitutes can be spies, and a good prostitute (you know what I mean) can get a guy to say just about anything at the right moment. Secret Service agents have access to sensitive information, and prostitutes are very good at gaining access to a guy’s sensitive… ugh, let me try this again. A really good prostitute can learn that sensitive information and then sell it to the highest bidder, doubling, tripling, or even quadrupling her money… or getting herself killed by one of the bidders. Playing spy can get rough (even the non-prostitution part of it). Maybe Secret Service agents believe they have the willpower not to spill secrets while being entertained by a prostitute, but if Secret Service agents truly have great willpower, then they will stay away from prostitutes in the first place. And maybe, just maybe, we’ll find out these Secret Service agents didn’t really do anything wrong and it was all a misunderstanding. The only misunderstanding was how much one of the prostitutes was supposed to get paid. Secret Service agents are losing their jobs, President Obama said he would be angry, and Sarah Palin got checked out by a Secret Service agent who was stupid enough to put it on Facebook.